As we head into year three of The Co-op Advantage®️, we thought it advantageous to get back to basics. Just what do co-ops offer to those across the supply chain, and how do they add value to your operation? The answer is simple. Local and regional cooperatives create additional value every step of the way. The economic impacts of cooperatives preserve the legacy of family farms, local businesses and rural communities. 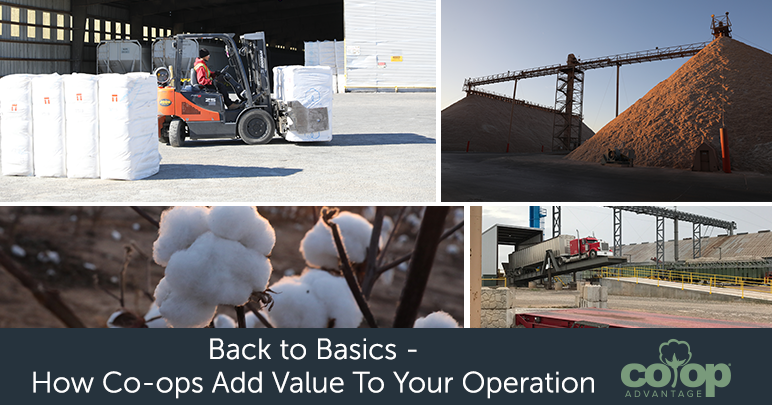 Cooperative ginning, warehousing, marketing and cottonseed processing benefit your bottom line and preserve a proven, successful business model. The cooperative system provides you with true ownership of the business in which you participate, whether the local gin or regional marketing, warehousing or cottonseed-processing cooperatives. The grower-owners of each cooperative elect a board of directors, making sure your business is run the way you see fit. As a user and owner at each level of the supply chain, or each level of the cooperative system, more value is added to your crop than would be otherwise. You receive dividends from the gin as well as at the warehousing, marketing and cottonseed-processing cooperatives. When you join a cooperative, it competes in the market on your behalf. By working cooperatively with other grower-owners, your cooperative has a more prominent presence in the marketplace, thus providing you with the best possible value for your crop while minimizing your risk along the way. Through true cooperation and participation at every level of the supply chain, you and your crop will be vertically integrated and receive dividends from each level. As a grower-owner, you have a stake in each step your cotton takes to get to its final destination. This model makes money for you, not from you. True cooperatives ensure that your money stays local. The money that goes into the operations of the cooperative is distributed to grower-owners through dividends that go back into the farming operation and into other local businesses you patronize. Rural communities benefit from this economic cycle and are consistently strengthened. The purpose of true cooperation is to provide grower-owners with the tools they need to keep their farming operations viable and profitable. Whether it is the dividends that help carry through a tough year or opposing detrimental farm legislation and regulations, cooperatives stand up for and protect their grower-owners. 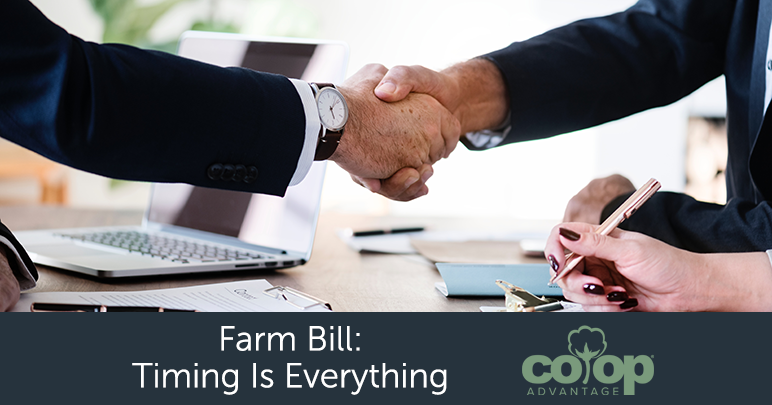 Each cooperative, no matter the field – ginning, marketing, warehousing or cottonseed processing – has experts available at all times to make the best possible decisions about how to maximize the value of your crop. Bottom line: Being part of local and regional cooperatives offer grower-owners reduced risk, more total value, better control – and ultimately – peace of mind.